We’ve recently come across an article that’s incredibly beneficial to those venturing into the art of scrap metal recycling. If you’re struggling to get started, there’s no better place than to start looking in your own home. This particular info-graphic from Sims Metal Management helps to single out five places in your home to search out scrap metal. As one of the biggest scrap recyclers in Fort Wayne, it’s only natural that we get overly excited in regards to the celebration of Earth Day! 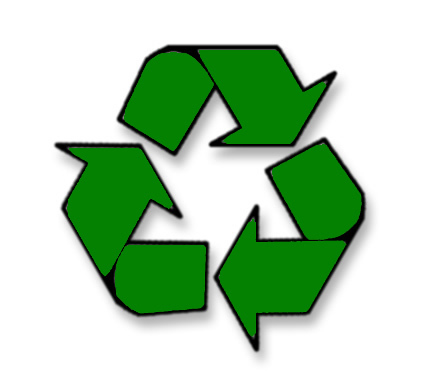 Do you know how the recycling symbol was created? The logo was created by Gary Anderson, a 23-year-old design student as part of a contest sponsored by Container Corporation of America in 1970. The CCA was the largest paper recycler at the time. In order for the Container Corporation to help spread the word of the use of paperboard, they decided to create a contest to see who could come up with the best recycling symbol. Out of the 500 entries, Gary Anderson and his logo went on to become one of the most recognizable symbols in the world. At the time, Gary earned $2,500 for his work. That may have seemed like a lot of money in 1970, but the symbol is considered public domain it can be used by anyone, royalty free. With Earth Day next week, let us not forget the power of recycling! Here’s a reminder on how easy it is to recycle aluminum cans and how the power of aluminum helps our planet!